You may have noticed that since October 2016 Microsoft introduced monthly rollup updates for Windows 7 SP1 and Windows 8.1. Now, as a user, you will get a monthly rollup that addresses both security issues and reliability issues in a single update. Sounds OK, but what about this single monthly update rollup means users don’t have the ability to figure out exactly what fix in the rollup is causing the headache. Only time will tell how successful this approach is going to be, so we shall continue to monitor the situation. I love reading about other people’s experiences with technology and this particular article about setting up a Windows 8.1 machine tickled me so much I just had to share it. 4. But it’s ok, because I get to customise with a pretty colour. 5. Not very business-like, but let’s go for PURPLE. 6. What, I need a Microsoft account to use a computer now? 8. No, no I can’t. 9. Two factor authentication takes such a long time! 10. At least it’s keeping me safe. 11. Wow, it’s taking a long time to set up! 12. I wonder if it’s frozen? 13. Have I broken it? 17. You’ve been saying that for 5 minutes now. 18. I’ve broken it and I’ve not even done anything yet. 21. I like how some of them update in real time. 22. Why does anything I try to open go straight to classic view? 23. What’s the point of the panel view if that’s just going to happen? 25. How do I find the settings? Where’s the control panel? 26. This operating system doesn’t know what it wants to be. 27. How do I get to my documents? Where are those guys hiding? 28. How do I use this app store, where are the things I need? 29. Never mind, I’ll do it on my phone. Thanks Clare McDonald (Computer Weekly), that was brilliant. 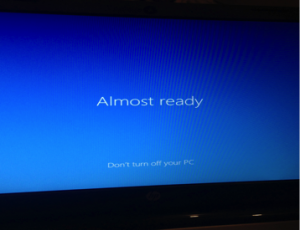 Windows 8 Update – Will it be 8.2 or 9? According to PCPro Microsoft are gearing up to launch its next major round of updates to Windows 8, which will be a follow up to the Windows 8.1 update codenamed “Threshold”. It is due to be announced at a dedicated press event on 30th September. A Microsoft post on a Weibo suggested the next version of its OS would be called Windows 9 (the post has since been taken down), adding weight to reports that Microsoft is keen to drop the tarnished Windows 8 brand in favour of a fresh start with Windows 9. Details of what it will be like are sketchy, but it is tipped that the new hybrid Start Menu will be unveiled along with the removal of the Charms bar. 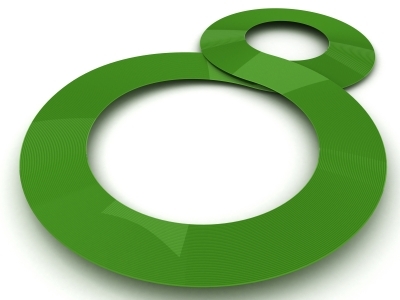 Author itsupportbloggerPosted on September 17, 2014 Categories Windows 8Tags Microsoft, Windows 8 update, Windows 9Leave a comment on Windows 8 Update – Will it be 8.2 or 9? Have You Noticed Windows 8 Has No COA? 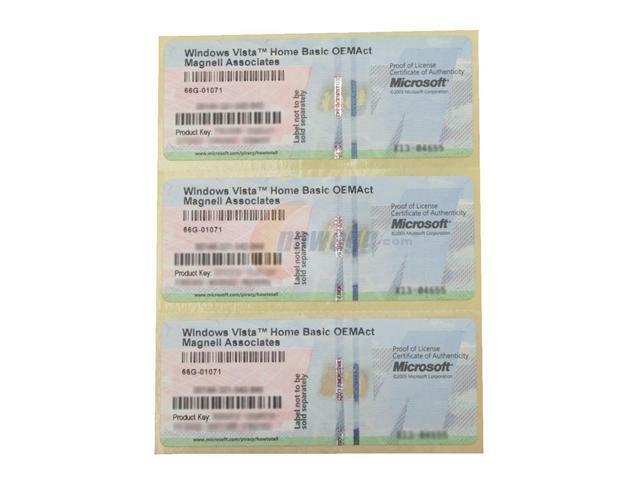 The Certificate of Authentication is a common sight for any Windows OS users. But users of Windows 8 may be puzzled to notice that there is no COA sticker to prove their computer has an authentic legal operating licence. Don’t worry, that doesn’t mean you’ve fallen prey to a bogus seller. In a bid to thwart nefarious users gaining access to legitimate product keys, Micorsoft has changed tack from stickers to more sophisticated BIOS embedded product keys. Of course, removing the stickers also negates that highly annoying habit they have of getting scuffed or damaged and eliminates the arduous process of typing in a string of numbers and letters when trying to install your new Operating System. Should the need to reinstall arrive, don’t worry. 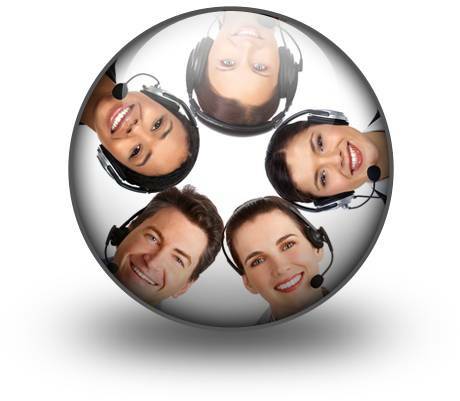 You won’t have to hang on to the help line for hours trying to work out how to get hold of your product key. During the installation process the computer automatically grabs the software product key from the motherboard BIOS without you having to do anything. What edition of Windows 8 am I using? All in all, a much safer and wiser way of dealing with COAs. Author itsupportbloggerPosted on November 13, 2013 January 28, 2014 Categories Windows 8Tags COA, installing Windows 8, Windows 8Leave a comment on Have You Noticed Windows 8 Has No COA? Ever since the launch of Windows 8, users have been patiently waiting for the update that will, hopefully, iron out all the niggles that have blighted their user experience. Well, it would appear that Windows 8.1, or Blue, will be available from October. But, before you get over excited there is one warning you should heed – if you install the Windows 8.1 Preview over your current Windows 8 installation, you will have to reinstall all Windows Store and desktop apps when the final version is released (all user data and accounts should be retained). Best not test the update on your main PC then. But there is good news – the start button is coming back! Once the new update is installed, you can right-click on the Start button to bring up the Win+X menu to reveal a new sub menu that allows you to directly shut down and restart your PC. Plus, (it gets better) you will also have the option to boot directly to the desktop, rather than having to go through the Start screen. But it does take some finding as it’s hidden away within the Task bar and Navigation properties dialog. You will also be able to disable the ‘hot corners’ that bring up the Charms menu and app-switcher taking you closer to a pure desktop experience. Plus, you can switch over to the All Apps view instead of the Start screen and you hit the Start button. So, all in all, it looks as though Windows 8.1 should improve your user experience. The following is brought to you by Misco who report that the Windows 8.1 (and update) will be available free of charge to Windows 8 users through the Windows Store. The announcement was made by Tami Reller, Microsoft vice-president and chief financial officer of the Windows division. She disclosed this information on Tuesday during the JP Morgan Technology, Media & Telecom Conference taking place in Boston. Reller used the opportunity to highlight Microsoft’s commitment to enriching the Windows user experience through continual updates. Windows 8.1 comes as part of that ambition and represents the next step in the Windows 8 journey, which began in the autumn of 2012. The forthcoming Windows update will help Microsoft and its OEM partners bring out the next generation of personal and tablet computers, providing both enterprises and consumers with the experiences they need and expect, Reller said. Windows 8.1 will be available for a public preview on 26 June, when Microsoft will be holding its Build developer conference in San Francisco. The blog post once again stressed the fact that Windows 8 was developed to provide a seamless experience in a mobile and constantly connected world. Microsoft is happy with the progress made so far. Windows 8 features on tablets, touch-enabled laptops and convertibles and OEM partners have delivered some outstanding products. Among them are the Dell XPS 12, the Lenovo IdeaPad Yoga 13, the Sony VAIO Tap 20 and the recently unveiled Acer Aspire R7. In addition, the Windows Store now offers over 70,000 apps. We’ll bring you further updates as and when they happen. Were you seduced by Microsoft’s shiny new operating system? Did you rush out and go mad for Windows 8 as soon as it hit the shelves? Do you now regret that? According to an article in The Sun (I just happened to glance at a copy whilst waiting for my Chinese takeaway – honest) the software giant will be back peddling on its radical Windows 8 operating system after a backlash from users. It was only 6 months ago that Microsoft launched its product in a bid to keep pace with the growing tablet market. But it would appear as though consumers (and fans of Windows OS) weren’t ready for the abandonment of the ‘Start’ button, which had been around since 1995, in favour of ‘live tiles’. For many it was a step too far that led to confusion. Although they played down this outcry, Microsoft has admitted that some users had found it difficult to use. As a result, the Head of Marketing Tami Reller, announced that “key aspects” of the software will be changed in a forthcoming upgrade. One of those is expected to be the reintroduction of the ‘Start’ button. What’s your take on Windows 8? If you use Windows 8, what’s been your experience of it? Is it really that alien in comparison to previous operating systems, or have you found it easy to adapt to the new way of doing things? 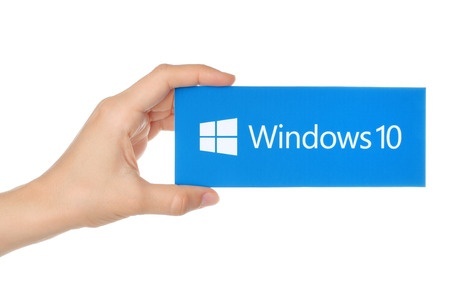 Over the past few months, we’ve been offering various tips on getting the most out of Windows 8. It’s so frustrating isn’t it, when you move from an operating system you know well to one that you’re all at sea with? Sometimes you wonder why they can’t just leave things alone, the old version worked, so why play around with it? But as technology advances, we all have to move with the times to be more productive – at least when we’ve finally got to grips with everything. So here are a couple of tips for you for when using Windows 8. The secret Start button for power users is hidden at the bottom-left of the screen. You don’t have to run the MSConfig programme any more to change startup items. Startup items now show up in a tab on Task Manager. All you have to do is press Ctrl + Alt + Del and select Task Manager. Click the ‘More details’ tab at the bottom and find the Startup tab at the top. Hopefully, that will make your life a bit easier as you get to grips with Windows 8. Windows 8 – Username or Not? Are you the kind of person who likes to have everything secure and untouchable? Do you like to have everything password protected so you and only you can, for example, access your computer? If so, great you can probably stop reading now. But if you’re the type of person who hates having to log in every time you want to use your PC or laptop, read on. If you’re in a work situation you can understand the need for a login, but when we’re talking about your home PC being prompted for a user name and password every time you switch it on can seem rather laborious and unnecessary. With Windows 8 you can speed up the login process by disabling the user name and password login screen. Well, if you open the Run window (press the Windows key + R) and type ‘netplwiz’ you can access the User Accounts dialogue box. Then uncheck the box near the the top that says “users must enter a user name and password to use this computer” and click OK, then enter your user name and password once last time to confirm your choice. Hey presto you will now be able to switch on your PC or laptop and start using it straight away without having to login – saving you precious seconds. Author itsupportbloggerPosted on February 13, 2013 Categories Windows 8Tags login to windows 8 without user name, quick log in with Windows 8, Windows 8 tipsLeave a comment on Windows 8 – Username or Not?